North Country Smokehouse is recalling some of it’s ready to eat sausage due to foreign matter contamination. The New Hampshire-based company is recalling more than two thousand five hundred pounds of ready to eat sausage products because they may contain extraneous materials. 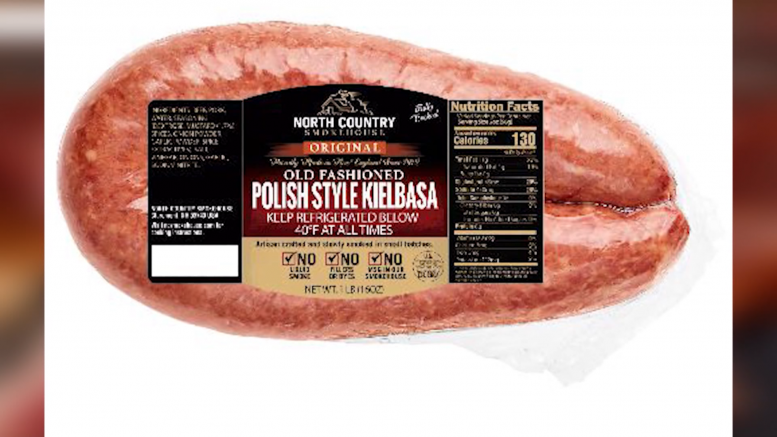 The Department of Food Safety and Inspection Service says the kielbasa sausage was packaged on February 7 and 8 of 2019. So far, there have been no reports of sickness from the products, but consumers are still being urged not to consume them. If you have questions about the recall, you can contact north country smokehouse at (603) 543–0234 ext. 207.